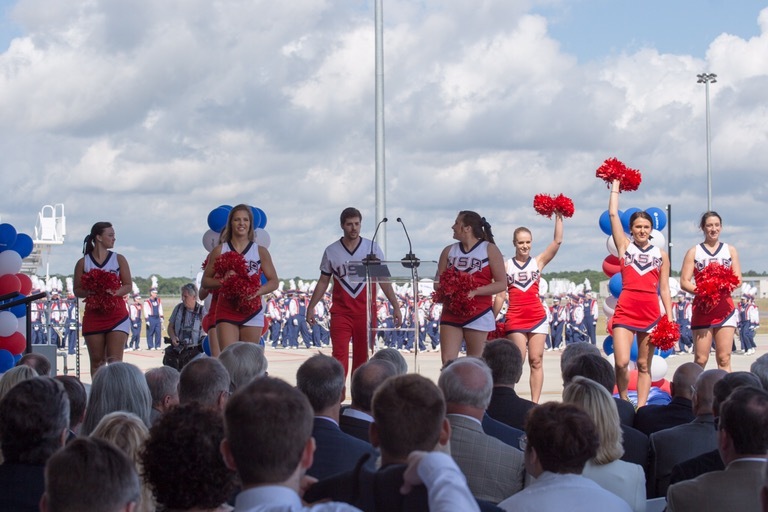 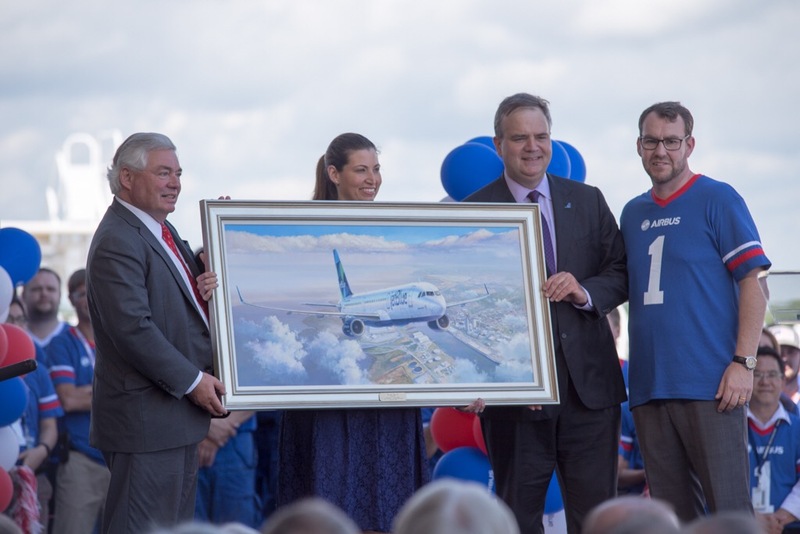 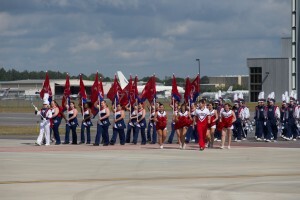 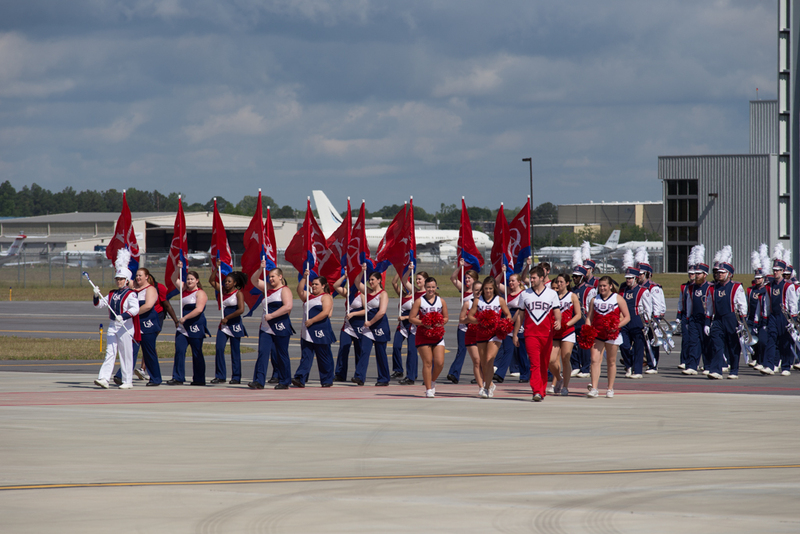 With all the pop and circumstance of an Alabama Football game including cheerleaders and a full marching band from the University of South Alabama the two companies came together for a historic event at the Airbus U.S Manufacturing Facility in Mobile, AL. 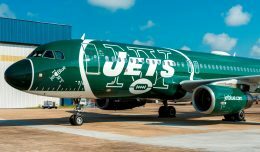 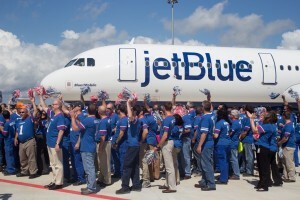 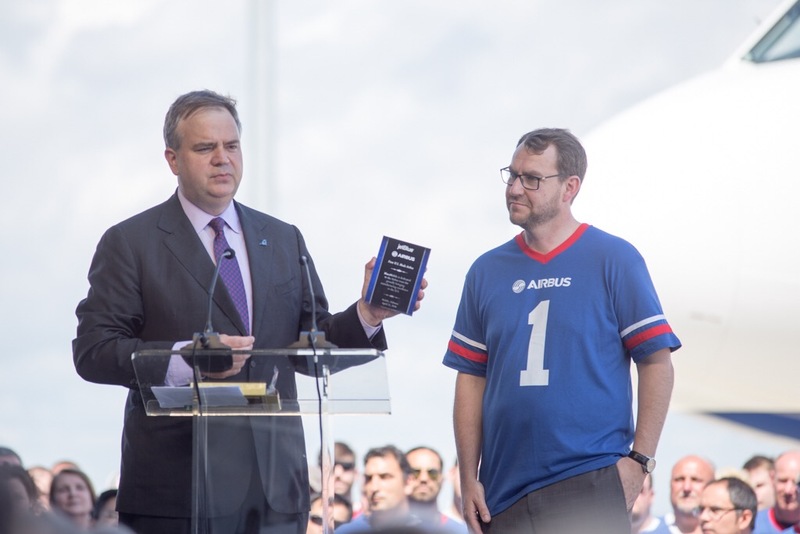 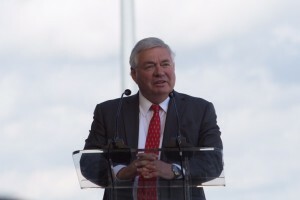 The theme of the the day was “Airbus Delivers” and that they did as Jetblue became the first airline to take delivery of an aircraft built by Airbus in the United States. 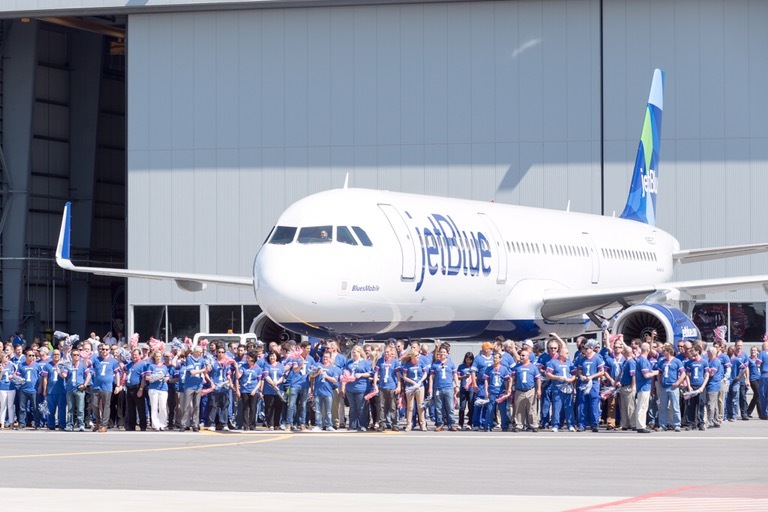 The entire team of more then 350 employees from the American assembly line gathered to present their very first completed plane. In a symbolic action the employees escorted the A321 across the tarmac from the production building to a delegation from Jetlbue including President and CEO Robin Hayes. 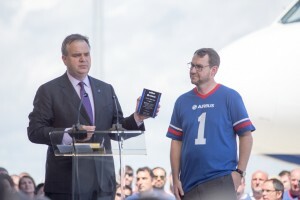 Just over four years ago, Airbus announced plans to build a single-aisle assembly line in Mobile, Alabama brining a huge boost to the economy of this gulf coast city. 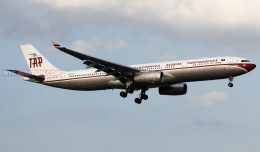 With the first Airbus 321 delivered airbus has nine other A320 family aircraft in production at the facility and hopes to deliver four aircraft per month. 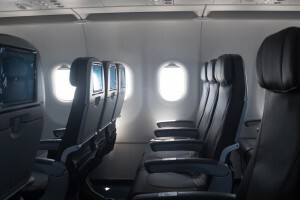 All in good fun John Leahy, Airbus COO told the audiance something we didn’t know about are chairs. 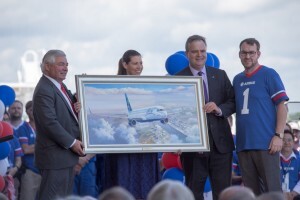 “You’re sitting in the Boeing seats right now,” Leahy said, to laughter and applause. 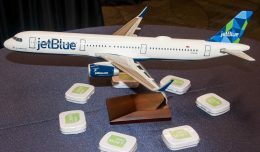 “The airbus seat on JetBlue is substantially wider.” obviously taking a shot at Airbus competitor and Boeing. 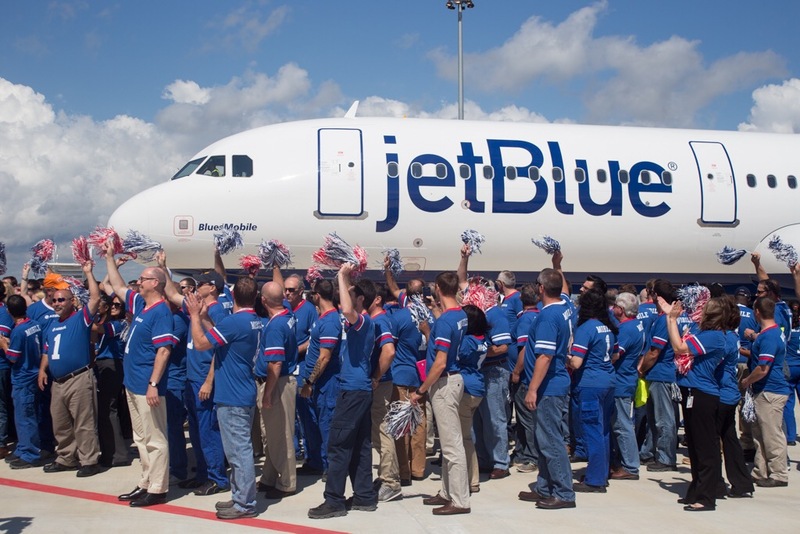 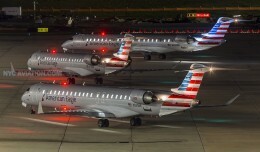 We were onboard as the aircraft was ferried from Mobile to Haeco’s facility in Lake City, FL. 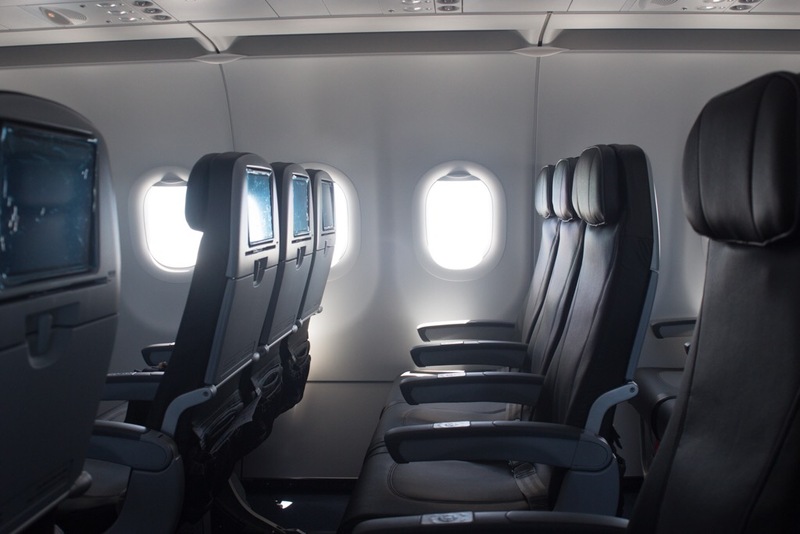 There, FlyFi inflight wifi and the remainder of the IFE system will be installed. 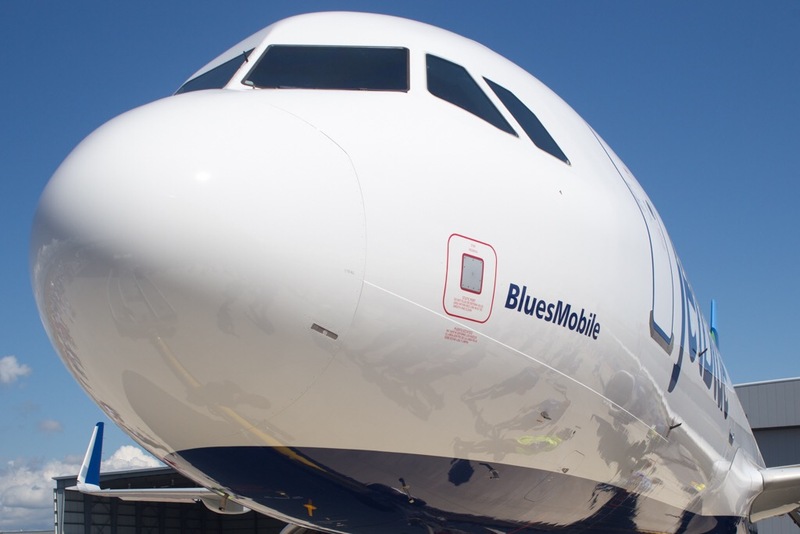 Look for the newest A321 “BluesMobile” to begin revenue service in the next couple of weeks. 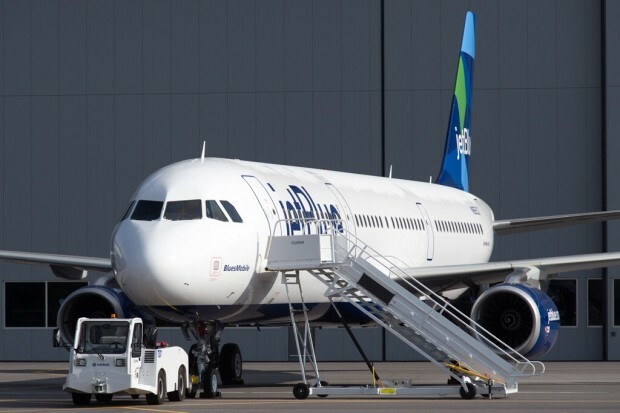 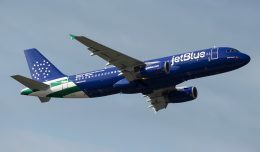 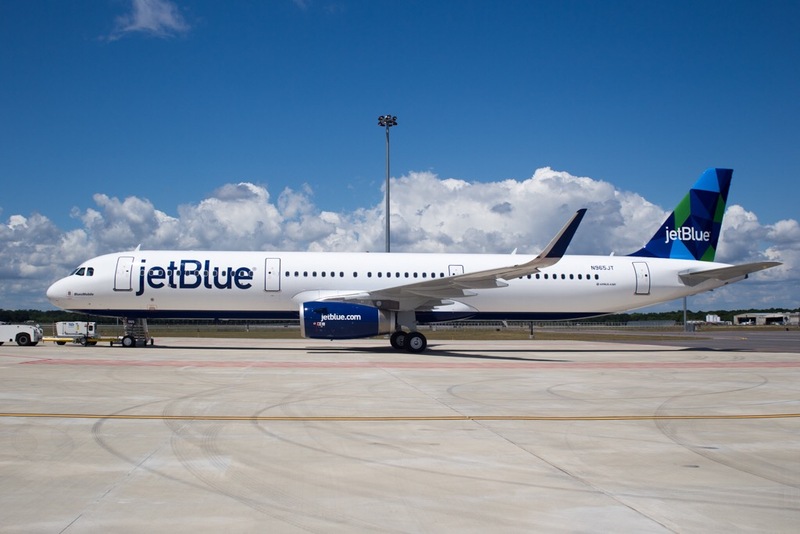 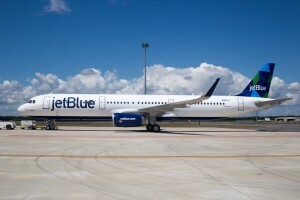 It’s good to know A321 core aircraft has been a success due to its lower seat costs and being a proven platform and JetBlue’s A321 fleet has a 98% of dispatch reliability and an averages 15 hours per day of utilization.